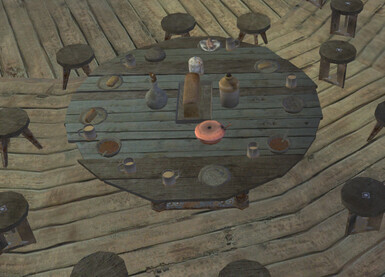 This mod adds 5 different variants of the Round Bar Table with food, drink, and clutter on it, to add more flair and give that "lived in" feel to your base's kitchken/bar. 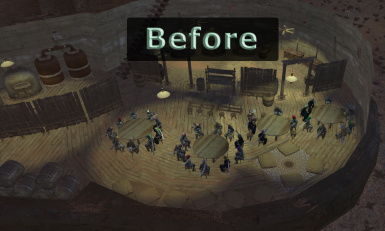 This mod has been uploaded with permission from the original author - SpaceLettuceOG. 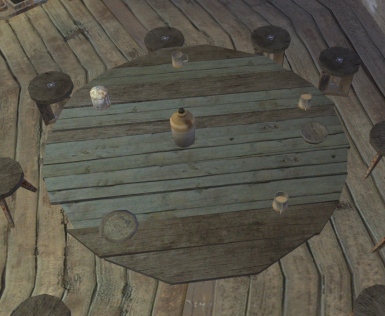 This mod adds 5 different variants of the Round Bar Table with food, drink, and clutter on it, to add more flair and give that "lived in" feel to your base's kitchken/bar. 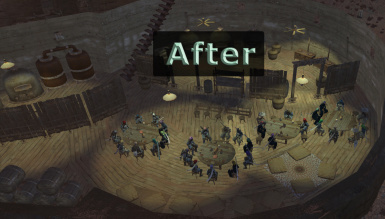 You can really tell the difference it makes in the before and after picture. I think it adds a lot of atmosphere. - The variants are unlocked with the same research that unlocks the empty Round bar Table. 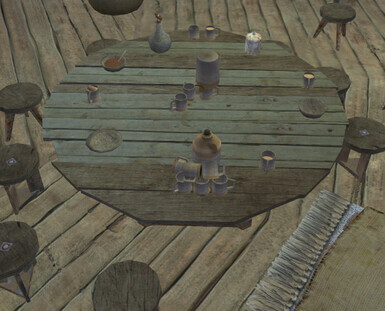 - I made the models for the cups, plates, and bowls, everything else are models from in-game meshes, although a few of them I reduced the poly/tri count of the bread, cooked veggies, and meatwrap models to be more performance friendly. They look virtually the same, but with better performance. 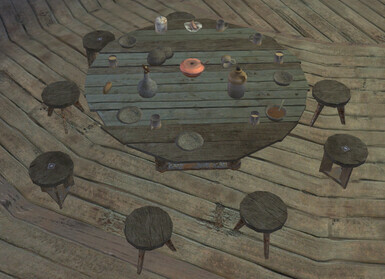 - I want to add some variants with clutter of the table, small table, and shelves, but they won't be coming anytime soon, as I am starting to feel a little burned out on the modding, as I have been churning out a lot of mods lately, if you haven't noticed. I kinda want to play the game now, and take a little break from releasing mods. Variants for these other furniture types will come eventually, plz don't ask me when down in the comments. 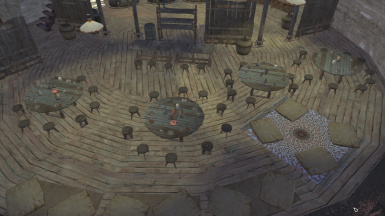 Will you make a variant of [insert type of furniture] that has [insert type of object] on it? Want to support me making mods, or just show your appriciation? You can also show your appreciation for the mod by clicking the thumbs up button if you liked the mod. :-) Yay! If you didn't like the mod, then you can always click that thumbs down button. :-( Aww! I know they're simple meshes, but gotta do the obligitory license/permissions thing. 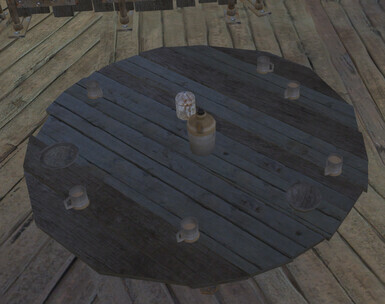 The models for the cups, plates, and bowls were made by me, 100% from scratch. You are not allowed to use my work in any way without my express permission. No one is allowed to reupload my work anywhere, without my express permission. HaTsUnE_NeKo has be granted permission to reupload my mods. The other meshes come from in game assets, and were not made by me.